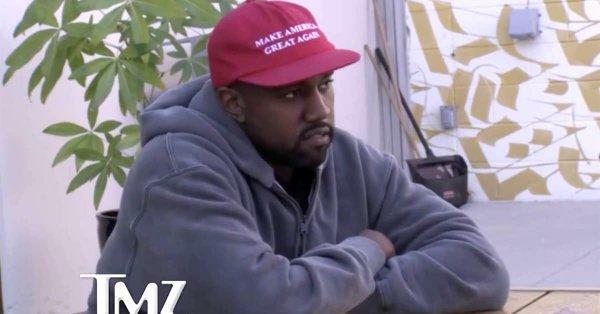 Levin said, "If you would not wear that hat, it would make me and a lot of other people feel better," and then directly requested, "In fact why don't we say please take off the hat Kanye, how's that?" I am American and I support and give my ideas and support and brilliance to whoever ends up in office. That's my stance as an American. I support our president. Bottom line, no matter who they are... Now, I've already told you what this represents for me, this represents... y'all can't bully me! The clip featuring the segment where Kanye refused to bow to the interviewer's demands has since gone viral, with an outpouring of support for his refusal to play by the rules of "safe space" political correctness. Meanwhile other people that don't have the celebrity recognition or superstar status of Kanye West have in some instances gotten assaulted for merely wearing a MAGA hat. One notable incident that was caught on video last summer involved 16-year-old Trump supporter Richard Hunter being assaulted by an aggressive liberal for wearing a red MAGA hat at a local Whataburger. Hunter received widespread support even from people who are not Trump-supporters, as it was widely recognized that he was the unfair target of harassment and bullying, and that his choice in hats and political speech should be protected.